posted: October 13, 2017 by: Connecticut Post Tags: "Clinic Specials" "News"
Order from an outsource prescription management service that your veterinarian uses. These state-licensed internet pharmacy services work directly with the veterinarian, require that a prescr iption be written by the veterinarian, and support the veterinarian=client-patient relationship. Ask your veterinary hospital if it uses an internet pharmacy service. But first, consult your veterinarian. 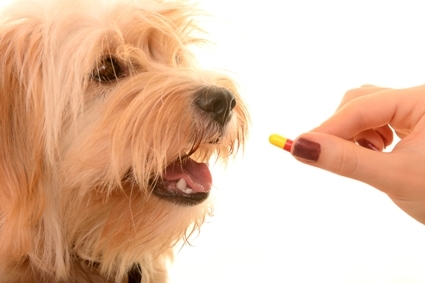 An online foreign or domestic pharmacy may claim that one of its veterinarians on staff will “evaluate” the pet after looking over a form filled out by the pet owner, and then prescribe the drug. But that could be a sign that the pharmacy isn’t legitimate. Written information – without a physical examination of your animal- may omit important clues to your animal’s condition, and is no substitute for a vet physically examining your animal. The FDA is especially concerned that pet owners are going online to buy two types of commonly used veterinary drugs that require a prescription – heartworm preventives, such as Heartgard, Trifexis, and Interceptor; and nonsteroidal anti-inflammatory drugs (NSAIDs), such as Rimadyl or Metacam. The American Heartworm Society recommends that you get your pet tested every 12 monthys for heartworm and give your pet heartworm preventive 12 months a year.